MERIDIAN TOWNSHIP - With Meridian Township having it's annual firework display show on July 1st, and the nation's famed 4th of July holiday coming this weekend, it's important that residents associate safety when thinking of fireworks. 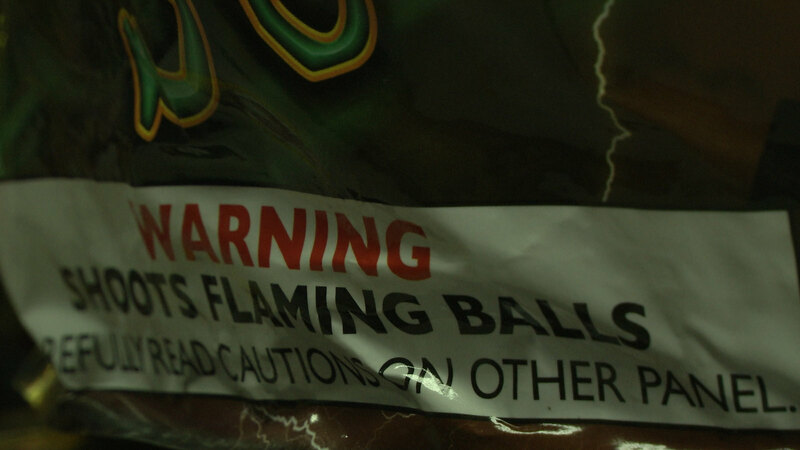 "Some of the things that are important to remain safe is, one, it's illegal to use fireworks while your intoxicated," says Ken Plaga, Assistant Police Chief of Meridian Township. "The mixture of alcohol and fireworks is a bad situation all the way around." Fireworks, which are mainly used to end or heighten grand celebrations and warm weather festivals, are seen as almost an American tradition when used. Although considered fun and used by many, Township officials continue to stress the importance of the dangers of fireworks, and the destruction they may bring when used incorrectly. "We don't recommend you do it, go to the show and watch the displays, but if you do use fireworks, make sure you're doing it safely," says Tavis Millerov, Meridian Township Fire Inspector. "Make sure you have a plan in case of a fire including having an extinguisher if something goes wrong. Always use them safely, never pointing them at somebody, never trying to blow things up with them and just be safe this holiday season."